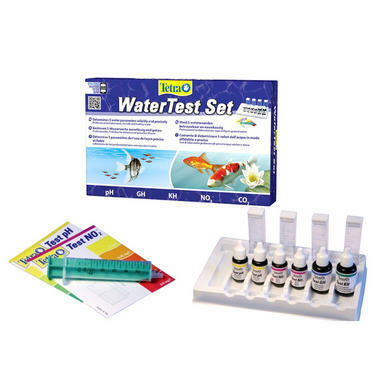 Testing your Aquarium water levels for harmful and sometimes lethal chemicals is a fundamental and important part of owning an Aquarium. Testing the water in your Fish Tank can give you essential information that will help you determine what treatments your Aquarium might need. 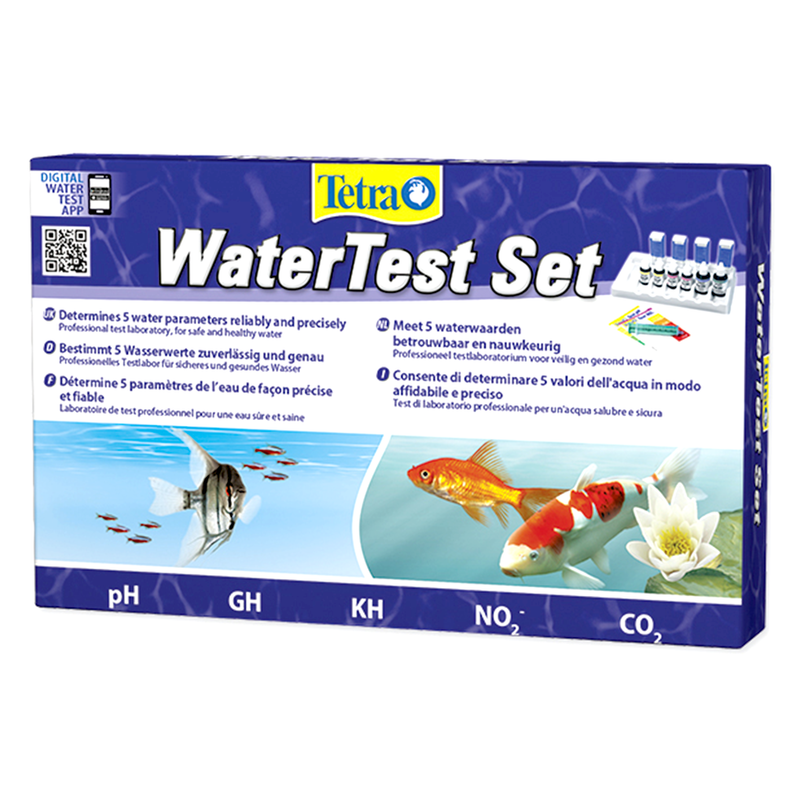 The Tetra Laborett is a perfect tool for testing water levels as it contains liquid kits, which works by changing the colour of a water sample in relation to the concentration of a given substance. You simply need to compare the colour of the sample to the easy-to-read colour charts, or count the number of drops it takes to alter the colour of the sample. 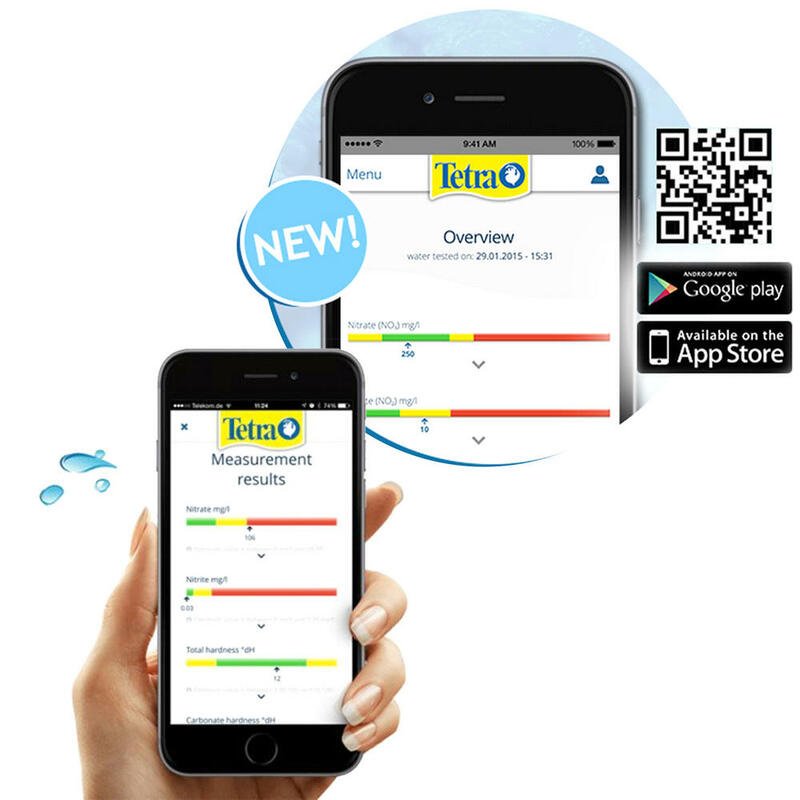 The Tetra Water Care App for Smart Phones and Tablets is a highly useful and easy app which allows you to quickly enter the results from your Tetra test kit. The app will immediately be able to give you a treatment plan tailored to your tank size, and can also allow you to set reminders for when a water test is due. Another useful feature with this app is the useful tests log which keeps track of all of your tests, so you can easily look back on your water levels over time.